This is a rave. With striking photos and vibrant spirit, here is a cookbook that reads like a luscious travelogue built around the culinary narrative of the Jewish diaspora. 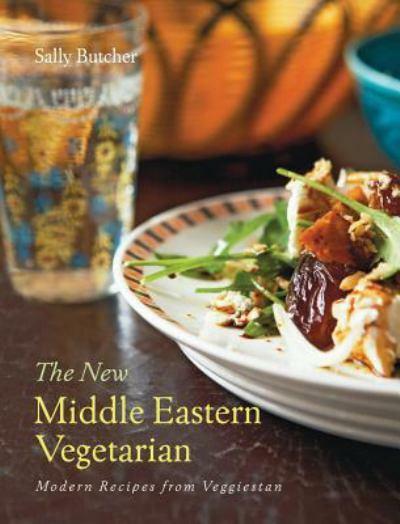 The book's author, Janna Gur, is among the most knowledgeable representatives of Israeli cuisine (her first book, The Book of New Israeli Food, 2007 is already a classic) and of Jewish food and identity around the globe. 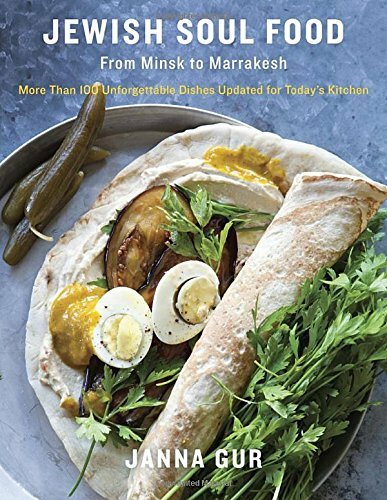 Her new book, Jewish Soul Food: from Minsk to Marrakesh, is both prequel and sequel to Jerusalem by Ottolenghi. In a world cluttered with cookbooks, hers is a standout, a poignant journey of enforced migration and authenticity cast in a contemporary light. There is much to learn. I have never seen, eaten, or made many of these dishes: Her sabich (an egg and eggplant sandwich often eaten for breakfast) is gorgeous, as is hamim macaroni, mafroum (meat and potato "sandwiches"), Bulgarian feta-stuffed pepper "cutlets," and tantalizing fluden, made with poppy seeds, walnuts and apples, for dessert. Its diverse recipes paint much of Israel's culinary landscape, where Ms. Gur resides and publishes, with her husband, Israel's most prominent food and wine magazine called Al Hashulchan (At the Table). 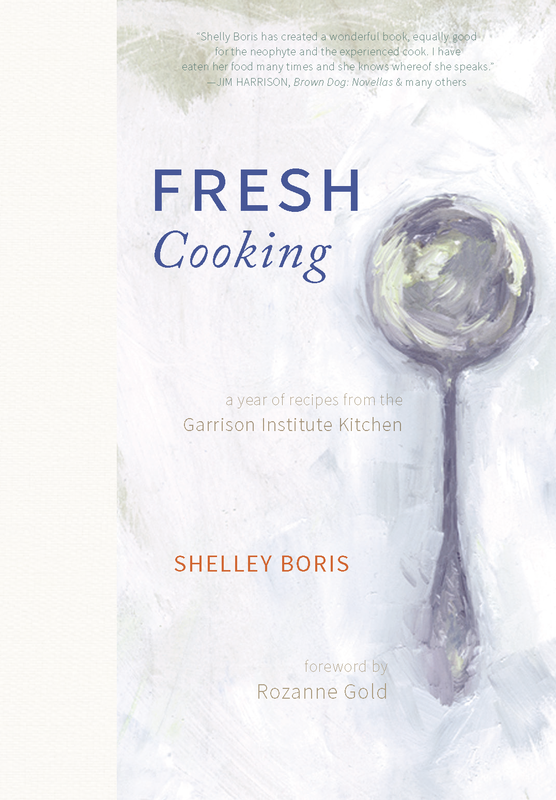 Born in the former Soviet Union, Ms. Gur emigrated to Israel in 1974 and since that time has scholarly untangled the global threads woven into the Israeli kitchen. Some of my favorite dishes include sabzi polo, rice pilaf made with equal amounts of basmati rice and fragrant fresh herbs, and addictive ijeh b'lahmeh which are herb and meat latkes perfect for Hanukkah. Also appropriate for the holiday are bimuelos, a Sephardic dessert of fried dough, drizzled with cinnamon-scented honey syrup and garnished with walnuts. I look forward to making her orange flower butter cookies studded with almonds for gift-giving this season. 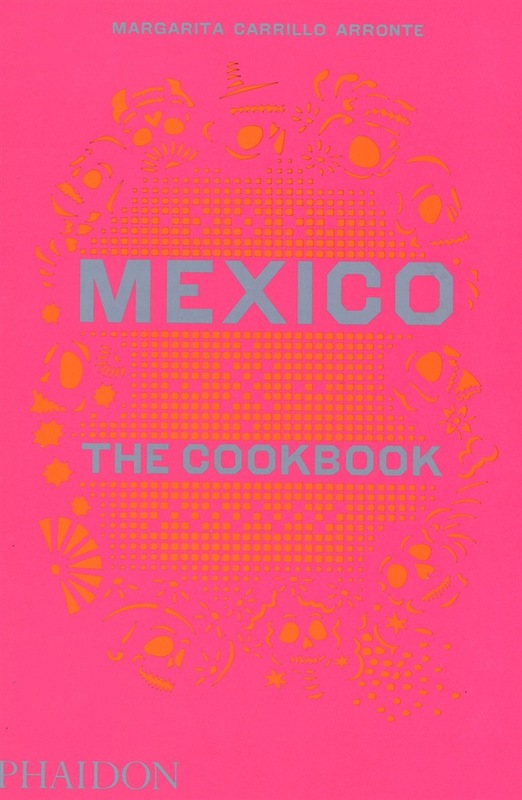 This book is important because of Janna's strongly held belief: The only way to preserve traditional cuisine for future generations is to cook it. Without her careful attention to this repertoire of priceless artifacts -- recipes from vanquished times and cultures -- these hand-me-downs would be all but lost. Jewish cuisine is unique because it reflects the histories of so many nationalities, wars and displacements. 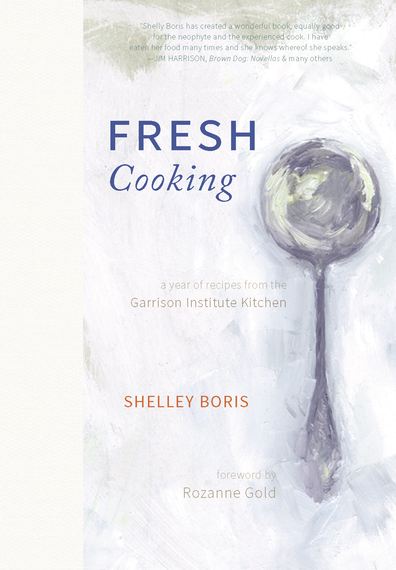 How Ms. Gur captures its essence in 100 recipes is the magic of this book. I don't know exactly where my grandparents lived as Hungarian immigrants in the early part of the last century, but they certainly climbed tenement steps and shopped on Delancey Street, as depicted in this sumptuous book with lovely essays by famous fressers (eaters) -- Calvin Trillin, Paul Goldberger (architecture critic of the New York Times), food maven Arthur Schwartz, legendary graphic designer, Milton Glaser -- and mouth-watering recipes. There are spectacular images of food, people, storefronts, and culinary ephemera, and an unexpected black-and-white photo of Janis Joplin smoking a cigarette at Ratner's, which is fabulous. 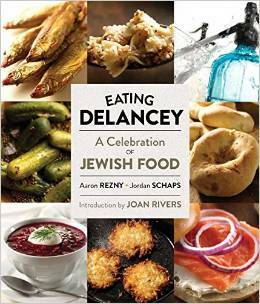 Eating Delancey, is Mr. Rezny's personal homage to the vanishing flavors of his youth. Similarly, Mr. Schaps waxes nostalgic about his bubbe Ethel Raben and the meals he consumed in her Russian-Yiddish-American kitchen. Mr. Rezny photographs the semaphores of their combined history -- bagels, halvah, knishes, seltzer bottles -- with the same intention. The photographs of iconic quaffs -- a bottle of Cherry Heering, Slivovitz, a bottle top of Cel-ray soda, tea in a glass are stunning in their simplicity. And the luster of the finished dishes -- a slice of creamy cheesecake, Schwartz's sweet and sour flanken, even matzo brei, a monochrome dish if there ever was one, here looks sensuous. Joan Rivers would have kvelled from this book. Her poignant introduction, which in itself is poignant, is brilliantly alive with affection for Jewish food. She describes her mother, "a chic woman, very well read, a great hostess, and a horrible cook" and goes on to confess her love of singed chicken feet and gefilte fish with freshly grated horseradish. Many books have delved into the psyche of Jewish people through their food -- but this book succeeds as a true work of art. I, for one, regret not knowing more about my grandparents' path, that of Joseph and Louise (Goldstein) Gold, who walked and ate with the best of them. More nostalgia: My best friend threw me a surprise wedding shower at Sammy's Roumanian on Chrystie Street -- imagine how classy that was -- a place where chicken fat is poured from a pitcher, garlic fills the air, and where time, for a moment, stands still. And I was totally wowed by the food of 13-year old Flynn McGarry, the culinary avatar to the mesmerizing talents of pianist Lang Lang when he was of a similar age. To the list of most important Italian cookbooks of the last 25 years, however, I would stand up and add the delicious and encyclopedic tome Naples at Table, written by renowned Italian cooking expert, historian and teacher, Arthur Schwartz. Best of all (and I love to learn new things every day), was a word I stumbled upon in the ingredient list for a winter citrus-and-escarole salad. In the spirit of full disclosure, I had never heard the word before! 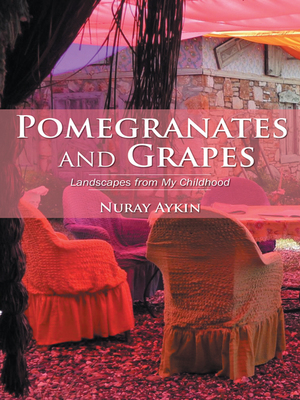 Pomegranate arils! Apparently, it's a popular crossword puzzle word. Look it up! Here's my recipe for Creamy Pumpkin-Red Pepper Soup. Enjoy. Creamy Pumpkin-Red Pepper Soup Hands-on time: 30 min. Total time: 60 min. The soup can be topped with a variety of things: I love Parmigiano-Reggiano and rosemary, but savory sprinkles like chopped smoked almonds or toasted pecans would be lovely. This tastes even better the next day ... or the day after. 1. Preheat oven to 400 degrees. 2. Combine first 8 ingredients in a large bowl. Sprinkle with 1/8 teaspoon salt; toss well. Place vegetable mixture in a single layer on a jelly-roll pan. Bake at 400 degrees for 30 minutes or until tender, stirring once. 3. Combine vegetables, stock, and remaining 1/4 teaspoon salt in a large saucepan; bring to a boil. Reduce heat; simmer 5 minutes. Place half of vegetable mixture in a blender. Remove center piece of blender lid (to allow steam to escape); secure blender lid on blender. Place a clean towel over opening in blender lid (to avoid splatters). Process until smooth. Pour into a large bowl. Repeat procedure with remaining vegetable mixture. Stir in butter. Top with rosemary, if desired.